Freelance entrepreneurs have to worry about many things. Top of the list is often how to grow the freelancing business and make it a success. The industry – regardless of the freelancing niche one operates in – is quite competitive. Any small advantage gained goes a long way into boosting the consultancy’s prospects. The other issue that’s of concern to most freelancers is growing their creativity. In this regard, the creative brief PDF is immensely useful. 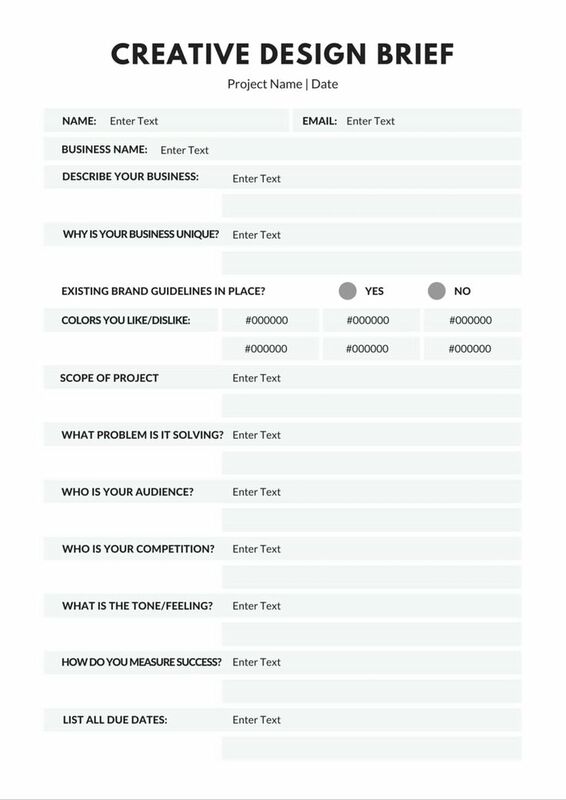 Below, you will learn how this simple document can boost your freelancing creativity. The saying that practice makes perfect holds true in the freelancing circles. The most effective way of ensuring that your creativity doesn’t suffer is to keep doing what you’re doing. In focusing on your work, you will probably have to deal with many bad ideas. You can only separate them from the rest through practice. In fact, don’t hate or undervalue the bad ideas. Why? They could be the key that ushers you into a new level of creativity. Many freelancers are unaware that creativity and productivity are closely linked. Creativity can boost productivity just as much as the latter enhances the former. Consultants should use the brief to find ways of bringing out these two traits to the fore. One should not suffer at the expense of the other. In fact, the more creative a freelancer is, the more productive he is likely to be too. Pursue productivity and see your creativity emerge brightly like the morning sun in summer. Freelancers can feel overwhelmed by the amount of work in their in-trays. Whenever this happens, the consultants struggle to take a systematic approach in tackling the work. Once more, the creative brief can be of unmatchable assistance here. It’s easy to learn to be an organized freelancer. Therefore, work on improving your organizational skills, and your creativity shall shine through. Freelancers who desire to prioritize their clients’ work must learn to stay organized. The creative juice can drop a level or two below what you consider the norm the more you work. The situation gets worse when you have to complete a client’s project in the shortest time possible. In such cases, the creative brief PDF, the two of you, prepare must provide room for breaks. Alternatively, you can always take a break even if the brief doesn’t talk about it, especially if you are ahead of schedule. The best freelancers know when to take breaks. The mental breaks are great for your brain, creativity and continued productivity too. Some projects do not need a large group of fellow creative freelancers. However, others can never take off unless you work with such a team. The creative brief PDF offers you more information on the volume of work that awaits you. The brief should capture what the two parties would like to do. If the freelancing client is unhappy with the idea of bringing more freelancers on board, you would have no option other than toeing the line. Lastly, the best freelancers never operate under unknown goals. All goals have to be clear to all. 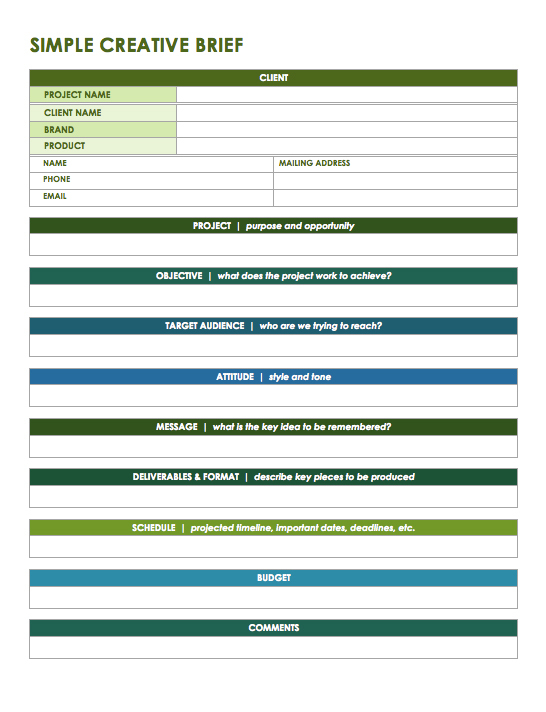 The creative brief PDF should capture all the goals of the project the freelancer is about to embark on. What result are you aiming for? What would the client like to get from your freelancing skills and expertise? Indicate the goals down on paper. The client would then provide his input. Make compromises to ensure that you’re all on the same page. Therefore, use these creative brief PDF tips to boost your creativity as a freelancer.